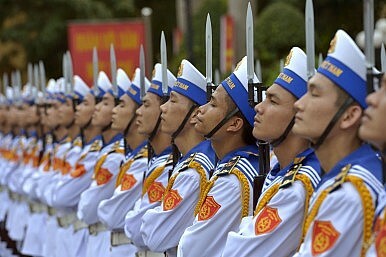 The warming of relations between Vietnam and the USA is getting much more obvious. Former Vietnam Vet, John Kerry is now in Vietnam. 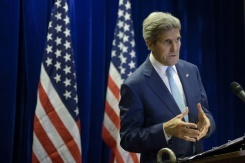 The fact that Kerry is a Veteran of the Vietnam War can not be underestimated here. Vietnam's Nguyen Phu Trong's visit to the White House also was significant although the Diplomat, a journal on Asian geopolitics, reports that it is still in early stages. Now there is open discussion about arms sales from the USA to Vietnam, which politically is split between Pro-China and Pro-West blocs internally within the Party. The Diplomat has an entire piece about the possibilities of the development of an alliance between the former foes. In addition, the Vietnam Navy has activated a number of Russian submarines, which technically can deploy sea to land weapons. The obvious adversary is China, as they have historically always been at odds. 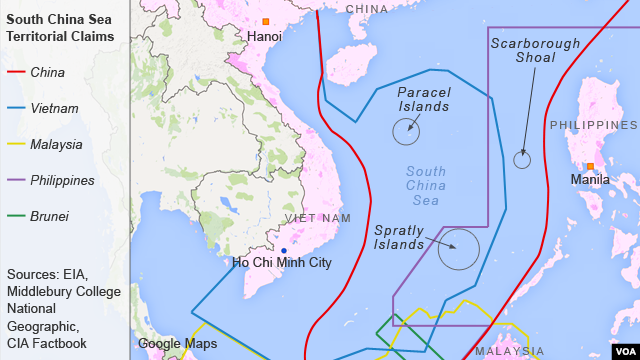 China has always viewed Vietnam as a part of China, which might explain their perception of the South China Sea as their territory. But this does create a tension with ASEAN. The Voice of America reports that China now has stopped building basically military bases in the South China Sea after some discussions at the latest ASEAN meeting in Malaysia. This was soon after Kerry spoke at the ASEAN meeting about restraint. The warming of relations between Vietnam and America will have some domestic implications in So Cal's Little Saigon. Still adamantly against the Communist government, any sort of rapprochement with Vietnam will invoke protests, but this might be ignored in favor of trade and other security issues, especially in the South China Sea which is an important trade route that can affect South Korea and Japan. This situation bears watching and monitoring.